After wading through hundreds of (mostly unlabelled) photos, several years of Peg’s diary and various letters and other stuff, I’ve added two new chapters of our family story: see the links to them in the right hand column. 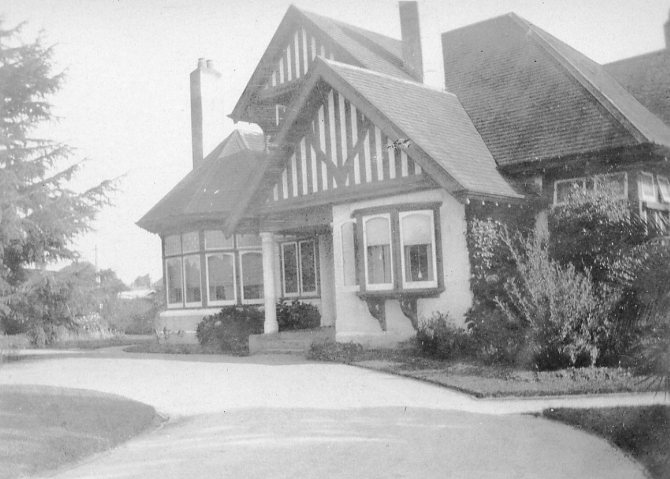 Chap 11 deals with the family from 1930-1935 and includes the move to “Enniscrone”, Mont Albert. Peg’s diary records many visits to and from other branches of the Beatty and Forster family, and I’ve mentioned many of these. 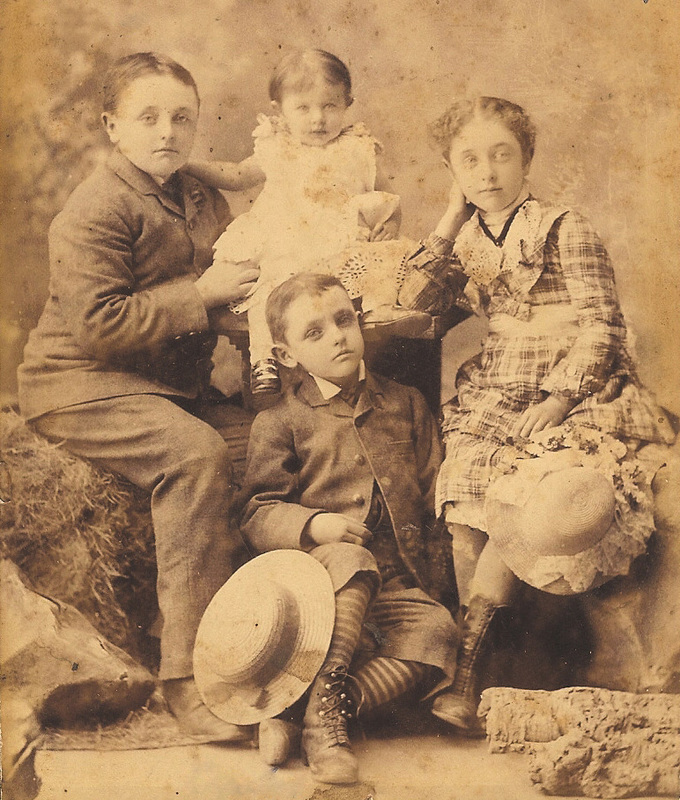 The Littleton family, particularly Ruth, Geoff and Gwen occur in many of the photos. 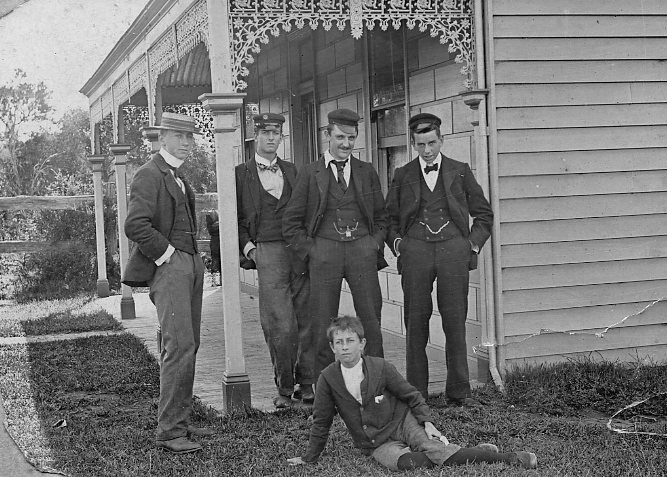 Chap 12 is mainly about Harold and his friends and their camp at Rye Back Beach on the Mornington Peninsula, which they called McBeatsome Town. I have to say it’s a lot easier and more rewarding writing about this very well-documented end of the family story. It’ll probably take another visit to Ireland to tease out more about the early 19th century Beattys with no guarantee even then. One mystery is completely solved. We now have a labelled copy of the 1892 photo of the whole James Beatty family, and yes, the baby is Rupert and Charles Gordon is on the far right! Also the earlier photo was apparently taken in Dublin, which narrows the window of opportunity for the family to have travelled to Australia. Many thanks to Jocelyn, grand-daughter of Alfred Joseph for permission to include her family photos here, and also to the Charles Gordon branch for photos of him. This is my favourite of the photos Jocelyn sent, as one of Archie’s grandsons looked so comically like him at the same age. I’ve revamped the Beatty page of the image gallery with all the new photos, and rewritten the relevant parts of the chapter of the story “The Beattys out of Ireland“. I haven’t uploaded the revamped family tree yet but will get there. I think I’ll write a new chapter about the Pagets next. 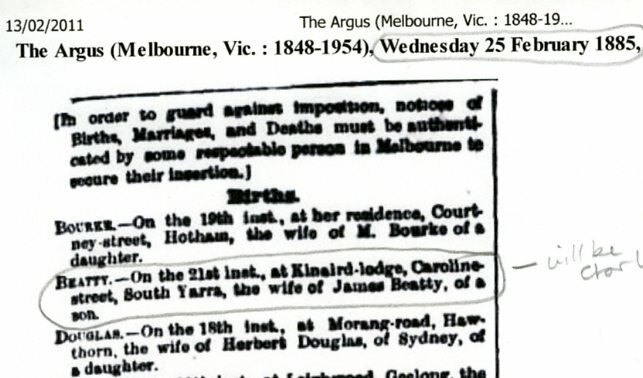 It would be wonderful if we could get in touch with the heirs of the eldest Beatty, James Paget (Jim) as apparently they have Marcella’s own Bible and the 1835 document appointing her father James Paget a JP! A letter from Janet Godfrey to Pag Beatty listed Marcella’s entries in the Bible. Mostly this was information already known, but included details such as Archie having been born at Kinard Lodge in Enniscrone and Marcella Constance Isobel having died aged 4 weeks at Woolpress Farm, Baddaginnie, presumably on a visit to her grandmother. All this information is now included in The story and will be in the family tree when I update it. Have you established our relationship to Admiral Beatty yet? Unfortunately I’m sure this is one of those family myths. The well documented family tree of the famous Earl goes back through many generations of soldiering Anglo-Irish gentry whose family mansion was Borodale in County Wexford in the far south-east of Ireland. On completely the other side of Ireland in County Fermanagh in the 17th century a lot of Scottish borderers were settled as tenant farmers, many of them named Beatty. You can tell that our Beattys were originally Scottish because James Beatty (born 1842 Co. Fermanagh, father a farmer) was both married and buried a Presbyterian. The family of his wife Marcella (the Pagets) were Anglican though as were his children. I’m afraid it’s highly unlikely that any relation of David Earl Beatty wandered up to Fermanagh or Mayo to take up farming or shop keeping with the Presbyterian Beattys up there. I think the fun-loving Archie Beatty is the culprit. 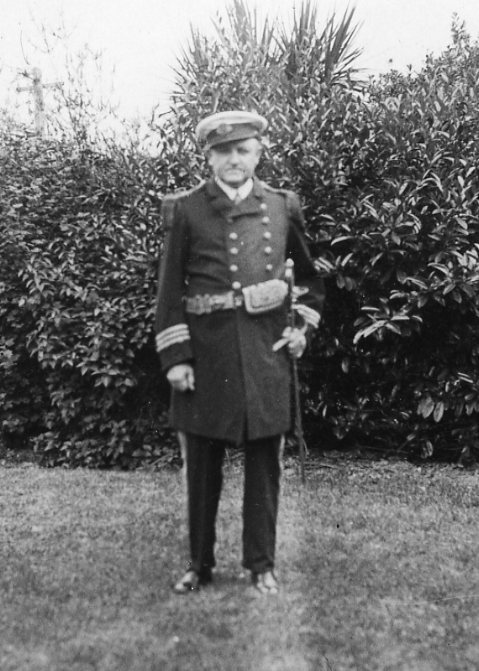 While I can find no mention at all until the mid 1920s that we are supposed to be related to County Wexford Irish gentry on the Beatty side, once the fame of David Beatty spread, Archie started to sign himself “Admiral” and kept notes from his friends where he is addressed as “Skipper”, “Admiral of the Fleet” and even “Earl”! I suspect it was fun to assume a relationship based on shared name and Irish ancestry and never mind the boring details. He is even on record dressed for the part! He has certainly made it difficult for family historians among his descendants though. What killjoys we are! 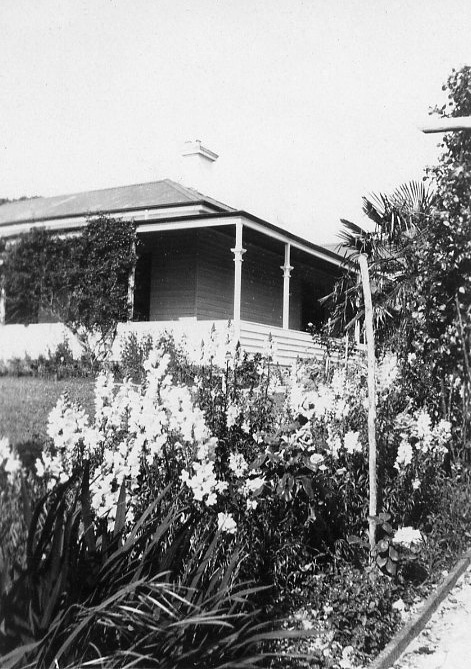 Carron Vale, Mooroolbark, about 20 miles from Melbourne near Mount Dandenong, was the country home of Archie, Connie, Harold and Peg Beatty from 1913 until late 1927. Hilda Forster lived with them for most of that time, along with Connie’s lady companion and various staff. It had a golf course and tennis court, and every weekend Stan and Gordon Forster among other friends and relations would congregate there. It sounded like Camelot at Mooroolbark from the stories we heard from Harold, Peg and more recently from their cousin Gwen Taylor (nee Littleton) who, along with her older brother and sister Geoff and Ruth was a frequent visitor. As with other Camelots there was also the sense that everything was not quite as perfect as it seemed. It was an exciting place for Harold and Peg to spend their childhood though. I’m posting this because I’ve written up all of the Carron Vale period into “Our family story” (see the chapters on the side menu), although I might add some more photos as I get around to it. There are albums full of them! Next I’ll deal with Harold’s jackarooing period and the 1930s. It might take a while though as there’s a lot of photos and documents to sort before a clear timeline emerges to hang all those stories of his on. I’d love to hear from anyone with further information about the family at this period, especially corrections to, different versions etc. of this story.